New Sunderland manager Paolo Di Canio has already begun to stamp his authority on the club by announcing his list of players whose contract won’t be extended next season. 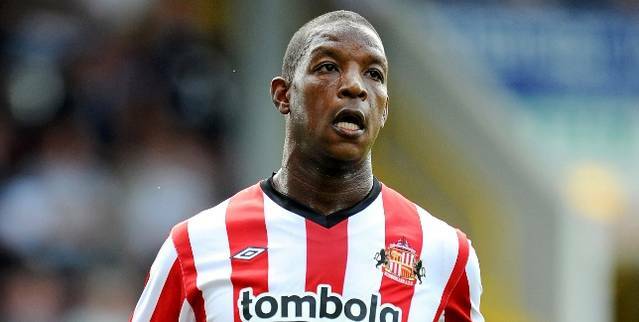 Experienced defender Titus Bramble and Matthew Kilgallon are the high profile names who will be leaving the Stadium of Light when their contracts expire at the end of June. Bramble has only made just over 50 appearances for the club since moving three years ago from Wigan Athletic, while Kilgallon has featured even less, with only 23 appearances since joining from Sheffield United. Both players will be looking for pastures new this summer along with youngsters Ryan Noble, Adam Reed and Ben Wilson who have all been released. Sunderland will lose the services of Tottenham left back Danny Rose and Al Hilal centre back Kader Mangane who have both returned to their parent clubs following the completion of their loan deals. Striker Ji-Dong Won will return to the Stadium of Light after his loan with Augsburg in Germany, and winger Ahmed Elmohamady looks set for a permanent switch to newly promoted Hull City, after spending the season on loan at the KC Stadium.